The Online course focuses upon an understanding of temperaments. Our temperament is the combination of basic traits with which we were born. Each temperament has its own set of 'ingredients' and these 'ingredients' show themselves as strengths or weaknesses. Many people experience real relief on discovering which temperaments they have as they understand why they think and feel the way they do and realise that they are not alone in feeling that way! Most people have two different temperaments (sometimes three) and the interaction between these different temperaments helps to explain many of the struggles and dilemmas people face. What will the course achieve? Imagine that you have bought a plot of land and you want to build a lovely two-storey house. 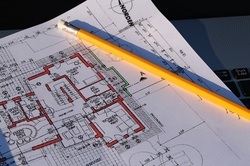 You employ an architect to draw up the plans to your design. The plans are passed on the builder and he orders the materials and starts work. You entrust the project to him and go abroad on a long business trip. Part way through he decides that a bungalow would look better so he uses the materials that were meant for a two-story house and builds a bungalow. The work is finished; you return and inspect the end result. What you see is a distortion of what was intended. The materials are under stress. There is only one thing for it – go back to the blueprints, dismantle what is out of place, understand the proper function of the materials and reconstruct. We are born into this world with the ‘raw materials’ of our particular temperament. There is a design for the development of our character and personality but the influences at work in those early formative years determine whether our personalities end up as they should or as a distortion of the original intention. This is why the course is written from the perspective of what each child would need with their own particular temperament. We have an opportunity now to look at the blueprints, dismantle where necessary and begin to rebuild with God’s help. 1. Your temperament checklist. This helps us to determine your particular temperaments and so tailor the course to your needs. 2. Your parents’ temperament checklist. This is for you to fill in and this helps us understand how your parents would have influenced your development. 3. Family Background Questionnaire. This consists of a series of questions that enables us to see what factors shaped who you are today. When you reach the Family Background Questionnaire you will see that the material is presented in a way that allows responses from me and further responses from you. Once the questionnaires have been completed we get into the course material and you will quickly begin to gain an understanding of yourself that will be of real benefit. We have a simple policy - if you are able to pay please do but if you cannot then don’t let that stop you from doing the course. In commercial terms this course must be worth a sizeable sum but we are not doing this for profit but to be of help. We set a figure of £70 if you are able to pay. Please let me know if you would like to do the course but are unable to pay. If you wish to pay online I will send you a PayPal link or an address to which you can send a cheque. What do I do to start the course? Simply write in via the contact page and let me know if you want to do the Online course and I will send the questionnaires through to you. If you have difficulty opening any of the documents let me know and I can send them in a different format. You don't need to print the documents - simply fill them in on your computer and return them as attachments.